A volcanic extrusive rock produced when lava with high water and gas content is cooled rapidly. This specimens is from the Havre Seamount eruption in July 2012. 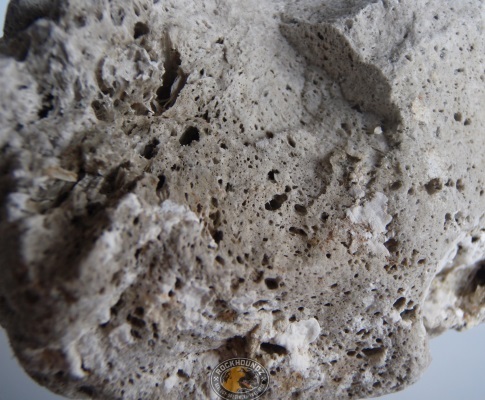 Pumice a vesicular extrusive rock which is high in silica and low in iron and magnesium giving it a light colour. Most commonly classified as silisic or felsic to intermediate, although other compositions occur. The Havre Seamount eruption in July 2012 produced the largest sea raft of pumice in the last 50 years, initially covering 400 sq km and spread to 270,00 sq km after a month and washing up on beaches from Northern NSW to North Queensland in late 2013.